- English Flash Card Play based on monthly theme. 17:30~18:15 Today's Special Activities in English. 18:30 or 19:00 Going home. Our basic program (After-School program) is designed based on the needs of Japanese and non-Japanese children to learn English and to spend fun and stress-free time in the afternoons (14:30 - 19:00). We provide children with necessary subjects including math, social communication and science in English with fun atmosphere. All our curriculum and activities are proceeded by skilled teachers who worked for International schools and After-School in English. * The above activities & schedule are sample only. It would be changed according to daily condition or weather etc. We provide more than 2 square meter in per child space in the activity room. 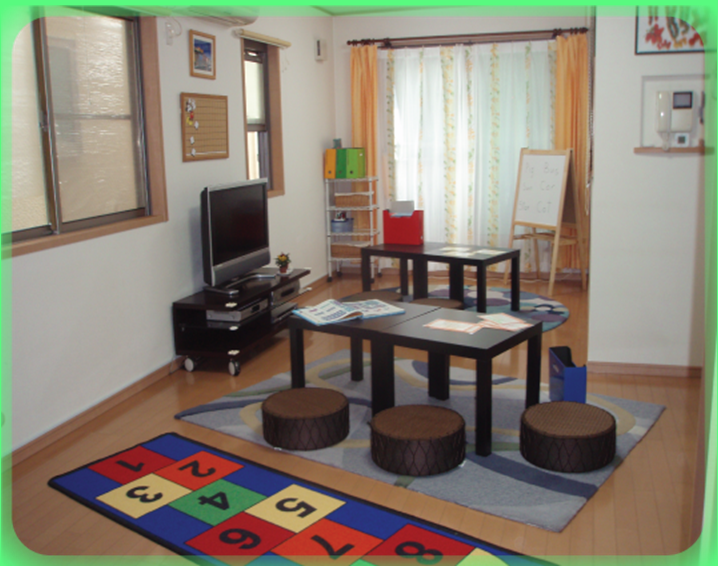 The children here can enjoy playing and studying English comfortably with the plenty of space.